I hated reading in high school. I did everything I could to avoid it. In truth, the only book I recall reading in its entirety was The Old Man and the Sea by Ernest Hemingway. Something about that book captivated me. It didn’t have many pages. That was certainly a major factor in my completion of it. But something in me shifted during college when I studied abroad in London. I still remember roaming aimlessly through Charing Cross Road near the Leicester Square metro station. It was 1995, and bookstores, used and new, were still popular. I can recall where I was when I read Hermann Hesse’s Siddhartha, W. Somerset Maugham’s The Razor’s Edge, Paulo Coehlo’s The Alchemist, and J.R.R. Tolkien’s The Hobbit, and Robert Pirsig’s Zen and the Art of Motorcycle Maintenance. I’m certain I can’t fully appreciate how these books shaped my mind, but I do know that upon returning from Europe I was a different person. Before, I loathed reading. Now, I spent most of my available time in the University of Michigan libraries and local Borders bookstore (their flagship headquarters). Each book turned new lights on in my now inquisitive mind. Each new section of the bookstore I explored opened up a new dimension to reality for me. I couldn’t get enough books. Self-help, fiction, Eastern thought, psychology, philosophy, popular science, mysticism … it was all thrilling. Now, over two decades later, and over a thousand books later, I’d like to share a few of my favorite titles in the category of personal development. In the classic How to Read a Book, Adler and Doren explain that there are two types of books: theoretical and practical. An example of a theoretical book is Plato’s The Republic. It’s an important book that illuminates many insights into the good life and the pursuit of justice. But it doesn’t necessarily provide instruction on what we should do in the here and now. But “self-help” has the wrong connotation. It implies that there’s something inherently wrong with us. There isn’t. Classic titles in this category include Napoleon Hill’s Think and Grow Rich, Og Mandino’s The Greatest Salesman in the World, and Dale Carnegie’s How to Win Friends and Influence People. These books are helpful when you’re first starting out in your career, launching your business, and wanting to get an edge. Personal growth and development, from this perspective, include success but go deeper. Personal growth implies we’re all on a developmental path. And with the right practices and methods, we can progress on this road, actualize more of our potential, and fundamentally transform the structure of our consciousness. That’s why you’ll find precise methods in the personal development guides I publish. Although I enjoy reading mind-expanding, theoretical books, I’ve come to appreciate the difference between what I know and what I am. Knowledge (what we can know) comes relatively easily; beingness (what we can become) takes a bit of practice. So in hand-picking a list of personal development books, I’ve restricted it to practical titles. Finally, I’ve noticed that my clients are all shifting to audiobooks so they can listen on the go. Whenever possible, I’ve included links to Amazon’s audiobooks below. Leonard is one of the pioneers in the field of personal coaching and the “human potential movement” (he coined the term). A third-degree black belt in Aikido, Leonard ran an Aikido school and was the president of the Esalen Institute. Esalen was a hotbed for new ideas in human potential in the 70s and 80s. Together with Esalen founder, Michael Murphy, he also wrote The Life We Are Given, another excellent book that outlines an integrated program for personal development. 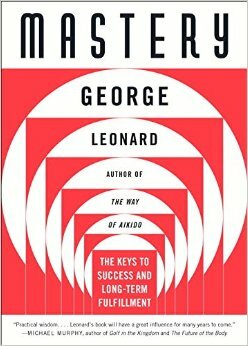 In Mastery, Leonard demonstrates his knowledge and experience as someone walking the path toward self-mastery and self-actualization. 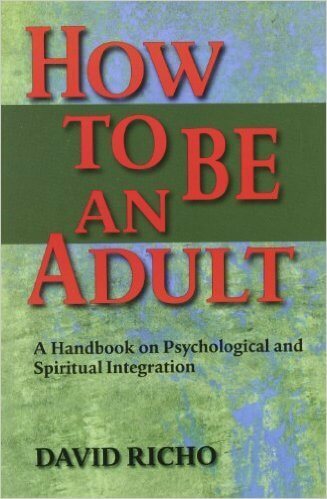 I wish I read this book in my 20s. My self-mastery guide was highly influenced by this small, yet powerful book. 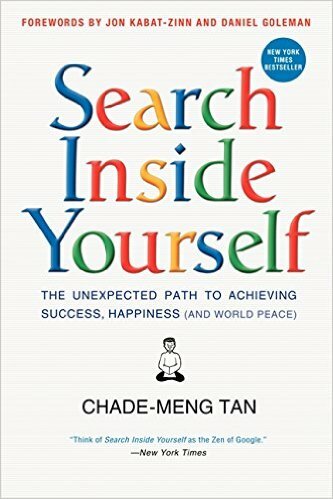 Chade-Meng Tan was one of the first engineers at Google. Years later, he helped launch the Search Inside Yourself Institute, a leadership program within Google. The program is a synthesis of the work of psychologists Jon Kabat-Zinn and Daniel Goleman, neuroscientist Richard Davidson, and others. At its core, Search Inside Yourself is a mind training program in emotional intelligence, the critical factor in outperforming leadership. Not only is this book an accessible, practical introduction to emotional intelligence with clear practices and methods, it’s also an excellent summary of dozens of other great personal development books rolled into one. 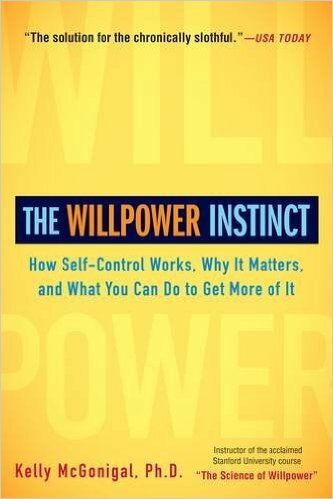 McGonigal teaches the most popular course at Stanford University’s Continuing Studies program called “The Science of Willpower.” The Willpower Instinct is essentially that course distilled into a single manual. It’s full of compelling research to support its insights. But more importantly, the book provides a litany of exercises and practices to cultivate a stronger will. While Charles Duhigg’s The Power of Habit is more popular and perhaps more entertaining, if I had to recommend one book on the topic of habit and self-control, McGonigal’s has the edge because of the structure and practical methods she outlines in this book. See also my guide on How to Master Impulse Control. by Ken Wilber, et al. 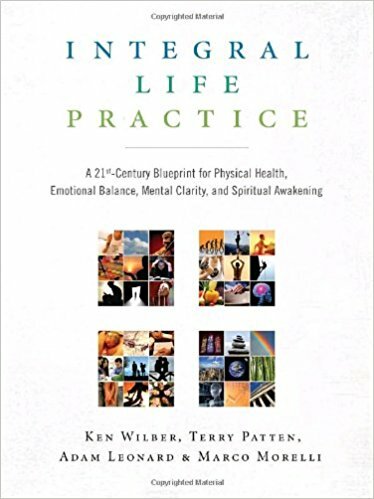 Okay, so Ken Wilber didn’t actually write this book. He had a small team of people write it, and he simply reviewed the process. If you’re not familiar with Wilber, he’s considered by many to be America’s foremost philosopher and theorist. Decades of his research and writing led to the development of an Integral Model that encapsulates the critical dimensions of reality into a single framework (called AQAL). But that’s all theory. Integral Life Practice builds on Wilber’s herculean efforts by creating a blueprint for human development. This integral framework is presented in modules like Body, Mind, Spirit, and Shadow. You can explore whichever module speaks most to you and then experiment with the litany of practices and methods to expand your mind of what’s possible as you grow your various lines of intelligence. This book is part of what inspired my personal development plan guide. Dweck’s now modern classic in the success genre is both sobering and enlightening. Her multi-decade psychological study on mindsets reveals how important it is to understand the true nature of our development and how learning works. 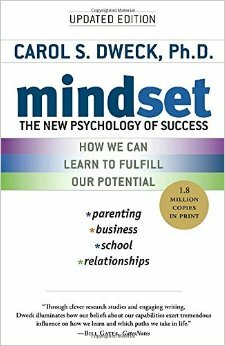 Mindset is sobering because it exposes how parents and teachers have been installing a highly limiting fixed mindset in children for many generations. And the societal effects are showing. If you’re a parent, consider this book mandatory reading. But really, everyone should read it because we’re all influenced, to varying degrees, by a fixed mindset that hijacks us from realizing greater potential within our intelligence, our behavior, or our personality. The implications of Dweck’s research are far-reaching. 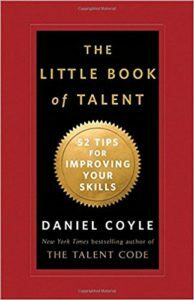 Coyle’s first book, The Talent Code, broke down the basic ingredients of creating world-class talent and skill. The Talent Code is an excellent book, but for practical, research-based tips on how anyone can improve their abilities, The Little Book of Talent is the answer. There are so many little gems in this book—awesome hacks you can apply immediately to accelerate your learning and skill development. If you were going to read only one book about psychological development, read this one. It truly is a “handbook.” It’s not beautifully written. But this little book is jam-packed with useful insights and practices for psychological development. There’s no “fluff,” which is why it covers so much ground in only 120 pages. In How to be an Adult, Richo sets the development of our psychology in the hero’s journey framework, exploring the “challenges” we face in approaching adulthood. These challenges take us into what we tend to resist the most: our grief, fears, anger, and guilt. Richo’s handbook isn’t something you read once and set aside. You carry it with you, referring back often. Don’t be fooled into believing that adulthood comes naturally with age. If everyone read this book—and lived the practices contained within it—I’m confident we would live in a very different world. But that change starts with us. 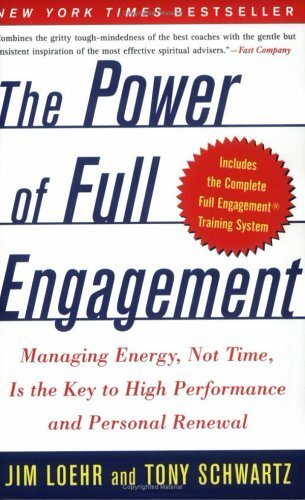 Loehr and Schwartz published one of the most important books on personal performance back in 2003. And I believe it’s still one of the best personal development books. While many of us are obsessed with finding ways of managing our time, these performance experts illuminate that what we’re truly looking for is more energy. Breaking energy into the four core categories of physical, mental, emotional, and spirit, The Power of Full Engagement walks you through multiple ways of actualizing more of your potential in each area. If you’re an entrepreneur or high-achiever in any area of life, this bestseller will change the way you work and approach everything. Seligman is considered the father of the positive psychology movement. 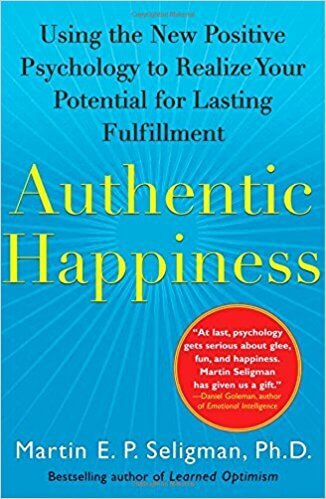 What I appreciate most about Authentic Happiness is that Seligman provides practical methods for increasing one’s level of happiness based on decades of research in the field. Seligman demonstrates that lasting fulfillment is found not in fleeting pleasures but in cultivating our natural strengths. Perhaps you’ve heard about the research on the benefits of maintaining a gratitude journal. This book is one of the first I’m aware of that highlighted this research. I wrote a guide to happiness, inspired by this best personal development book. 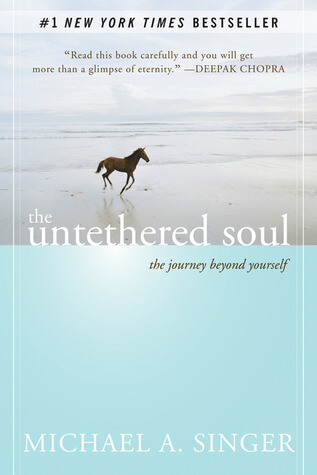 The Untethered Soul is popular for a good reason. Singer’s gentle soul communicates how the voice in our head isn’t us and that our true self is silent, open, and free. To return to ourselves, Singer explains, we must unblock the energy in our heart center. And to accomplish this, we must stop resisting painful emotions we’ve been protecting ourselves from. Only by letting go can we return to ourselves and reunite with our souls. It’s rare to find a book with beautiful, clear, and simple insights on virtually every page. The Untethered Soul is one of those rare gifts. The best personal development books listed above won’t just help be interesting to read. If you apply the lessons contained in these books, they can transform who you are in the process of becoming. All of the best personal development books are courses in themselves. You can come back to them again and again, finding new insights and strategies for wherever you are on your hero’s journey.